All businesses know that customer relationship management (CRM) is a way of structuring and saving customer data and satisfying all the customer needs. Most businesses understand that marketing automation is a way of making marketing works easier and more effective. 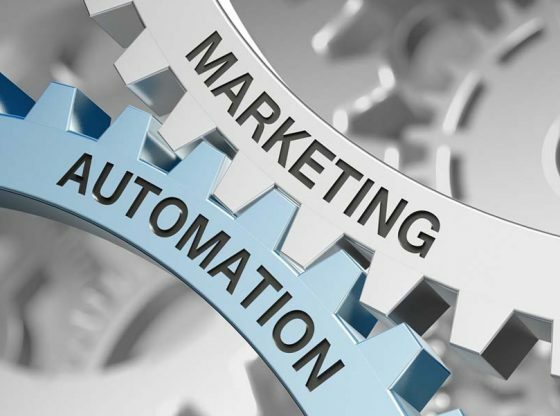 Marketing automation is a software with the goal of automating marketing actions. Many tasks such as emails, social media, and other website actions have to be automated by many marketing departments. The idea of using an automation software can both be a dream and a nightmare. With its vast research on choosing the right fit to actually finding one can take you to the next level of doing your business. It can do a lot more than just sending emails, by creating a flexible ;and sophisticated system for better performance and lead generation. How Can Joining CRM to Marketing Automation Help Your Business? For many marketers, lead generation takes priority over lead nurturing- but you need to protect your leads efficiently by moving them through the sales pipeline-and to close more sales. You can automatically send relevant content (for example, through email marketing) in response to actions your leads take by joining CRM with marketing automation. This increases qualified leads and sales. The automation tools will capture key customer data, data you can then use to further process your messaging. For example, an automated CRM program will tell you what pages customers have viewed, how long they stayed there, content which they downloaded, and the forms which they filled out. You’ll gather similar data about the emails you send. Simply stated, how much you know about your customers, the more accurate and personalized your communications with them will be. As the business takes more time to move leads from window shoppers to customers, the less money you’ll make-and given the increased doubt in minds of today’s consumer, the average sales cycle has been raised by more than 20% over the past 5 years. When the marketing automation is combined with CRM, you’ll be able to send content that’s more appropriate and more effective answers customer questions and removes obstacles to sales, thus closing sales more quickly and increasing your revenues. Assigning scores to your leads based on their online behavior is done by the best marketing automation software. Based on this we will come to know which leads are most likely to make purchases. That means you’ll be able to clear your sales team’s efforts on the most qualified leads, and therefore to close more sales. Risk between your sales team and you is something that stays high all the time. It is all because your sales team is unable to find out a good lead from a bad one. If you are going through this, then marketing automation is a good fit for you. It helps marketers to score leads accurately based on activity and demographics, so sales team won’t waste their time on chasing unqualified leads.